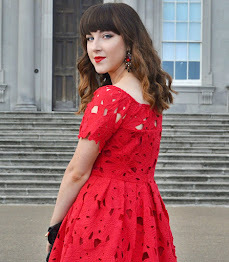 I was recently looking at some other crafty, fashion blogs and found a tutorial for studded heels (found at hellocrissey.com if you are interested). 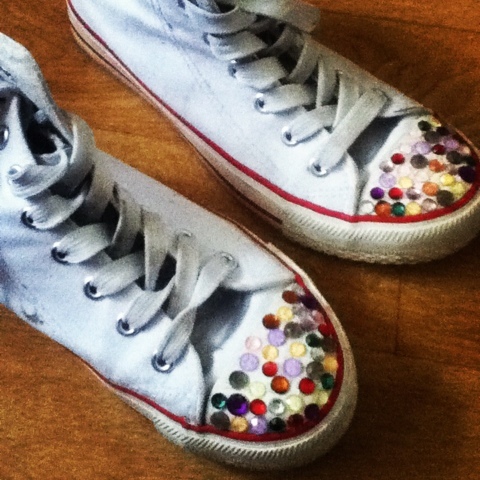 *Step 2: make sure the top of our converse are clean! 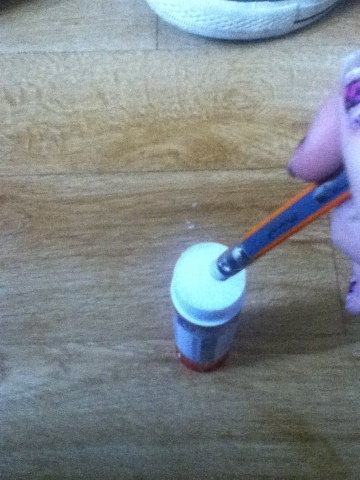 *Step 3: gently rub the top of the pencil (the eraser on top) with pritt stick so it is tacky. 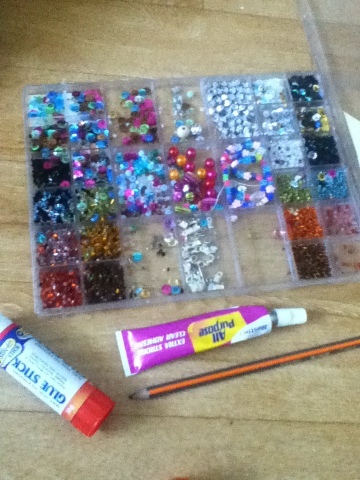 *Step 5: pick up a rhinestone with the pencil-eraser and apply. Press down firmly. 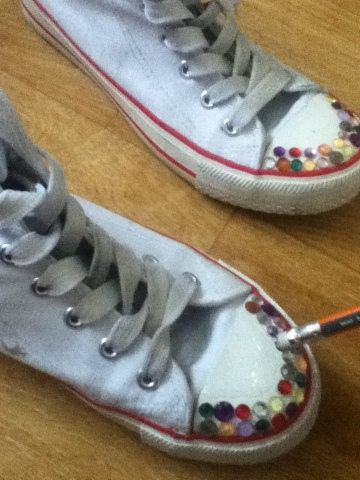 *Step 6: repeat until the entire top of your converse is covered in rhinestones! I unfortunately ran out of rhinestones (must buy some on eBay when I get the chance!) so I couldn't do around the sides too, but you can if you wish. I also used multi-coloured rhinestones but you can choose one set it colour if that's what you'd prefer! Remember, they are YOUR shoes so you can decorate them whatever way you want. 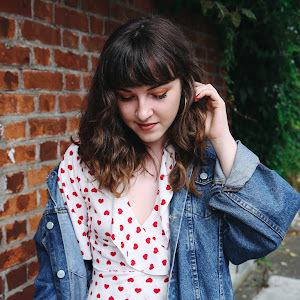 OH and try use a cheap or old pair of converse so you don't get in trouble for using an expensive pair ;p Ask for permission if you must/are young.